This decadent twist on cinnamon rolls features white chocolate chunks baked directly into the dough, and a filling made of cinnamon, pecans, and raspberry preserves. 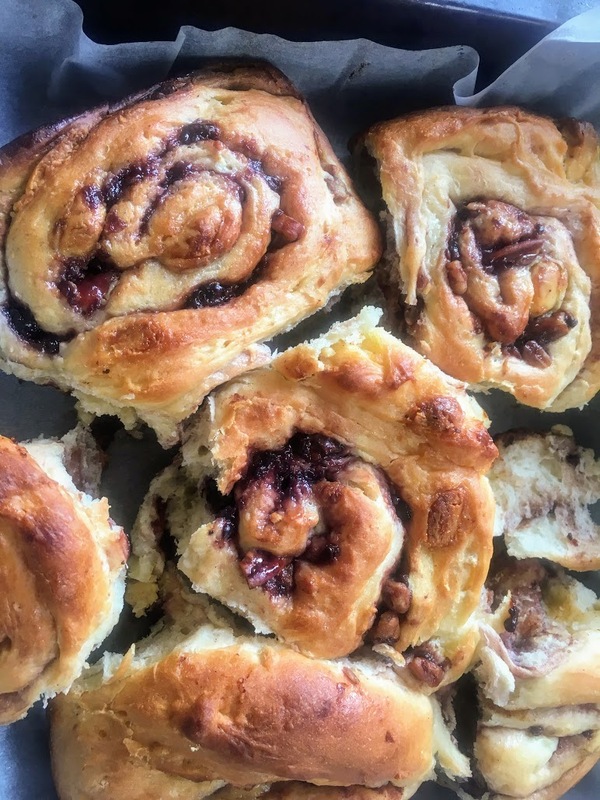 Inspiration for this recipe came from two sources: a pecan and white chocolate viennoise (enriched sweet bread) I often buy at a French bakery in New York City, and a recipe for raspberry-filled cinnamon rolls baked in the shape of a wreath. Read more in my latest post in The Knockturnal.